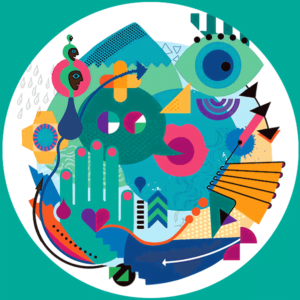 Here is where you can download Live & Learn’s Arts for Advocacy Student and Teacher Guides. 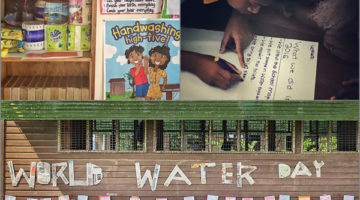 These resources are designed to guide school WASH Clubs or youth groups to effectively plan and carry out hygiene promotion campaigns in schools. 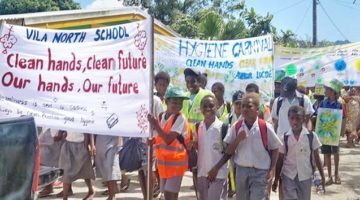 Students are taken on a journey to discover how they can make positive changes in their school and community by advocating key hygiene messages in their schools with their peers, teachers, friends and parents. 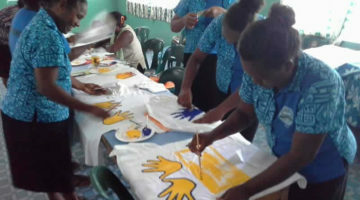 Creative activities such as painting, photography, video, drama, music, stories and dance are powerful tools to inspire people to change their thinking and actions. Arts-based activities tell powerful stories, raise visibility and inspire others to build culture and create stronger communities. Live & Learn Environmental Education has published the “Arts for Advocacy” guides for students and teachers. 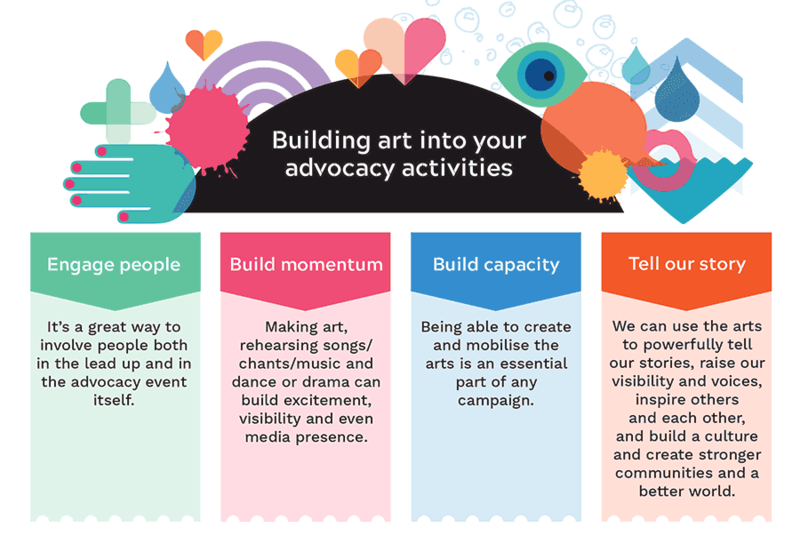 The activities in the Arts for Advocacy guidebooks focus on water, sanitation and hygiene (WASH), but the advocacy planning process in the guides can be used for student-led, creative advocacy positive change in many other areas. 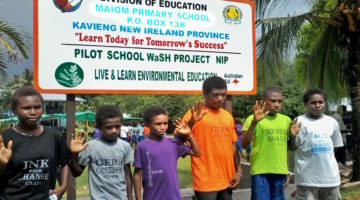 Student WASH Clubs and their mentor teachers in schools partnering with Live & Learn in Papua New Guinea, Vanuatu, Solomon Islands and Fiji are using these guides to plan and implement WASH advocacy campaigns. 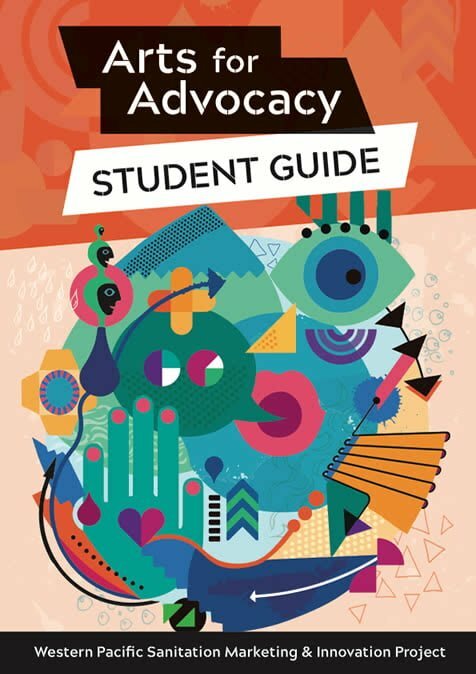 The Arts for Advocacy student guidebook has been written so that the students 12 years or older in a school-based club can work through each activity themselves. They learn about establishing a student clubs that are inclusive, and can address issues that are important for girls. Younger students can work through the guidebooks with mentoring from a supportive teacher. 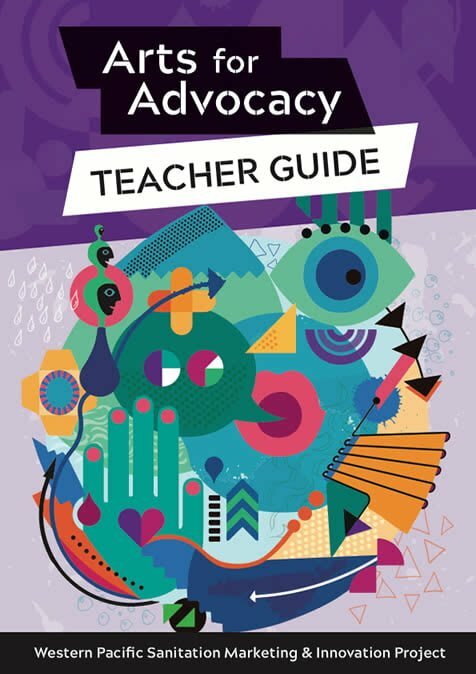 The Arts for Advocacy teacher guidebook helps teachers to support any club or group in their school plan and implement WASH advocacy campaigns. 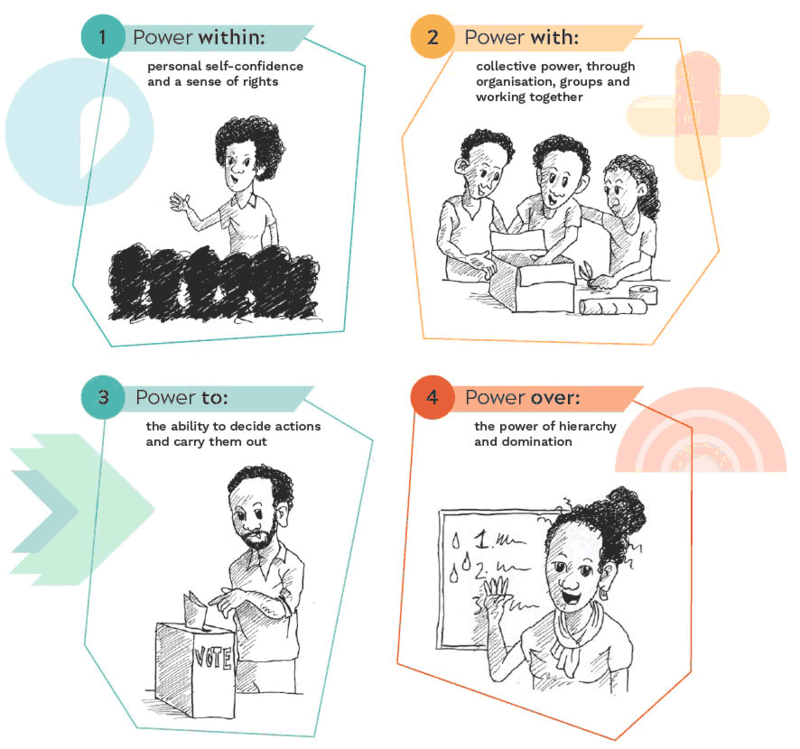 The teacher’s guide revisits important principles of child participation, inclusion, and how to support children and young people in activities where they have a voice in making positive changes in the school and community.